A researcher at Ransselaer Polytechnic Institute in the US has given three Nao robots an updated version of the classic 'wise men puzzle' self-awareness test and one of them has managed to solve. A King invites the three wisest men in the country to participate in the challenge for the position of the King’s advisor. He tells them that he will put either a white or a blue hat on their heads and informs them that at least one of these hats will be blue. There are no mirrors in the room and the wise men are not allowed to talk to each other, so they can’t see the color of their own hats but are able to see each other’s hats. The task is to work out the color of the hat they are wearing using the given information. I don’t know if you managed to find the solution, but one of the three Nao robots that participated in the test certainly did. Of course, it was an adapted version of the puzzle, customized to artificial intelligence and its limitations. You may think that it’s not the hardest puzzle to solve, but, in reality, it’s extremely difficult for robots. Apart from listening and understanding (which many robots are able to do), they need to hear their own voice and distinguish it from others. Moreover, they need to work out the answer based on the fact of hearing their voice. Self-aware robots may sound like a scary thing, but the researchers who conducted this test see the results in the positive light. Team Leader Selmer Bringsjord of Rensselaer Polytechnic Institute in New York, who ran the test, says that by passing many tests of this kind – however narrow – robots will build up a repertoire of abilities that start to become useful. Instead of worrying over whether machines can ever be conscious like humans, he aims to reveal specific, limited examples of consciousness. As an alternative, the robots have been programmed to be self-conscious in a specific situation. But it's still an important step towards creating robots that understand their role in society, which will be crucial to turning them into more useful citizens. "We’re talking about a logical and a mathematical correlate to self-consciousness, and we’re saying that we’re making progress on that," Bringsjord told Jordan Pearson at Motherboard. At the same time, it should be noted that the test was rather limited, so the results only indicate that the robots were self-aware in a specific situation. Just like with the computer that passed the Turing test last year pretending to be a 13-year-old boy, the results are not definite but are quite promising for the development of smarter robots. The work, which will be presented at the RO-MAN conference in Kobe, Japan, next month, highlights the gloomy waters of artificial consciousness. The wise-men test requires some very human traits. In any case, artificial intelligence at this stage is very far away from being truly self-conscious and human-like. 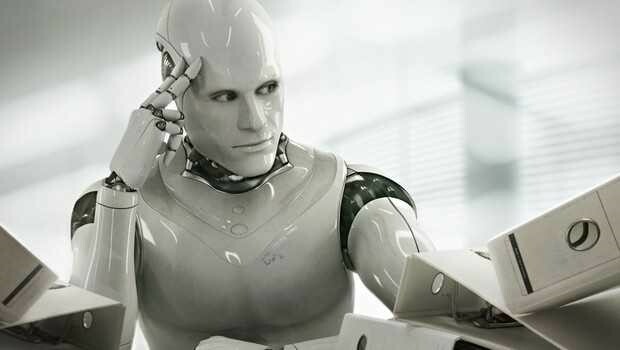 The reason is that robots just can’t handle the volume of information that the human brain can process. But who knows where the future advancements in technology and robotics could lead us. Bringsjord says one reason robots can’t have broader consciousness is that they just can’t crunch enough data. Even though cameras can capture more data about a scene than the human eye, roboticists are at a loss as to how to stitch all that information together to build a cohesive picture of the world. This is a basic question that I hope people increasingly understand about dangerous machines," said Bringsjord. "All the structures and all the processes that are linked with performing actions out of nastiness could be present in the robot." Bringsjord will present his research this August at the IEEE RO-MAN conference in Japan, which is focused on "interactions with socially embedded robots".